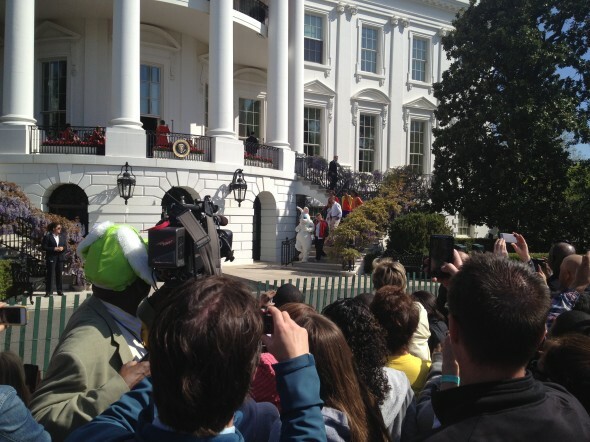 We made it the White House for the giant Easter Egg Roll and general festivities. And it was worth the longish train ride with the 4 year-old to get there. Restored a bit of faith. With all that’s going on in the world it’s easy to see how something like this could have been pushed to the President’s back burner. 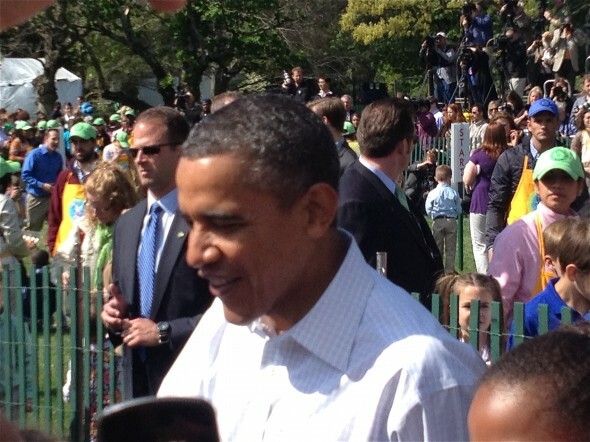 But he was there — not checking his BlackBerry as I would be. There’s lot that needs work, but lots that right and something to be said for sliding back from the desk and celebrating what’s right. For a day. Or a couple of hours. This entry was posted by John Pasmore on Friday, April 20th, 2012 at 6:58 pm	and is filed under Travel. You can follow any responses to this entry through the RSS 2.0 feed.